Meg Rivers | AN EDIBLE LIFE. So, on this journey of kitchen experiments I have apparently found myself on – I decided to bake a torte. I have never baked a torte and was unsure what it was supposed to look/taste like but it was the only thing in the cook book that I could successfully travel from Essex to London for a dinner party. 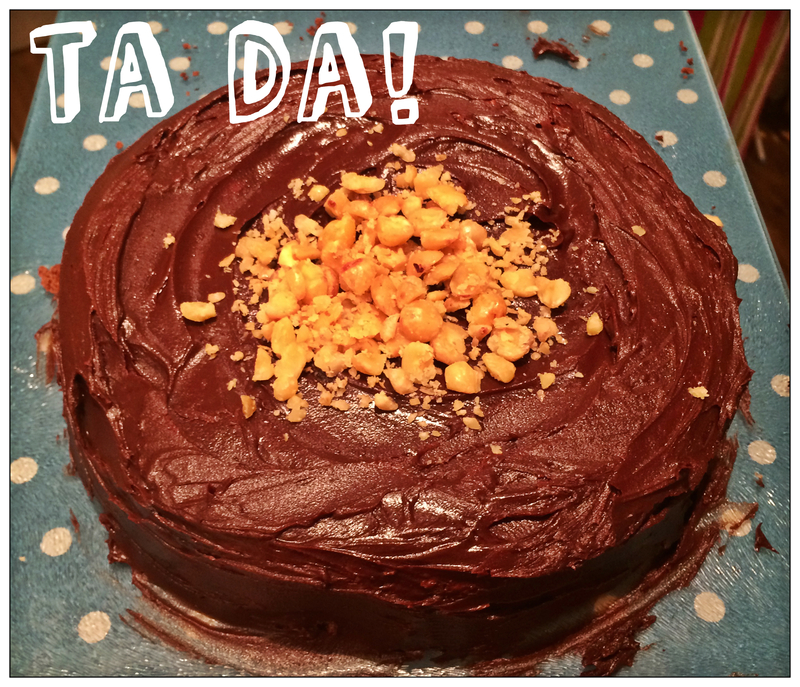 Firstly, please be warned – DO NOT BUY UN-BLANCHED HAZELNUTS UNLESS YOU ENJOY PAINSTAKINGLY PEELING 200G OF HAZELNUTS ONE BY ONE I made this error and I began to hate the torte before I even started to bake. Don’t make the same mistake as me, hunt down those blanched hazelnuts. It was a fairly simple recipe (which I can post on here if anyone needs?) and turned out to be a pleasure to bake. My mum has a troublesome oven but we powered on and I got a great consistency with the torte which I was pleased with, although, it did taste a little ‘torte’ and I’m not sure if the chocolate I used was too dark? Be warned, this is very chocolatey. It’s not Devil Cake level but you definitely need a 30min break after dinner before you can tackle a slice. The hazelnuts come through beautifully which does give a lovely mature edge to the torte – this would be a hit with the guys also! 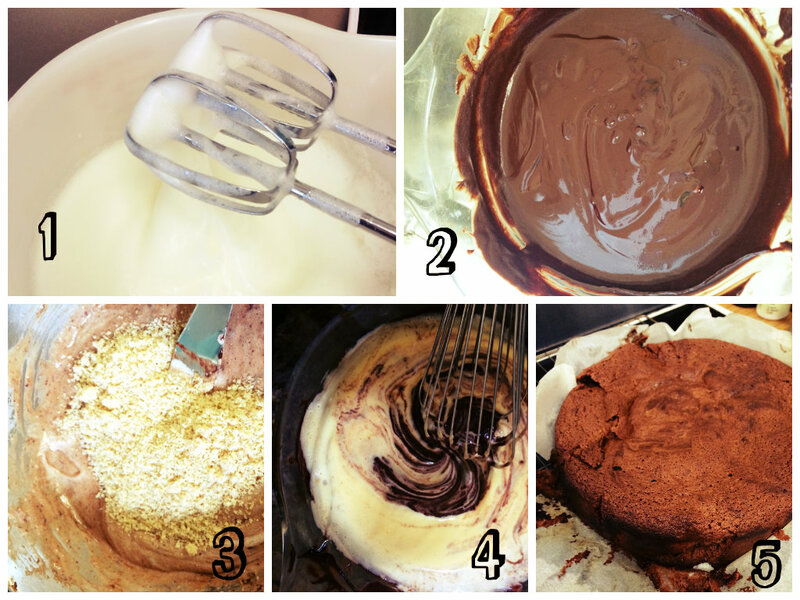 The ganache recipe is also a great one, very simple and effective although mine did require some cooling just to get a good spreading consistency. I also recommended getting some double cream to serve with to take off the edge.